Barnes & Noble, Inc. (NYSE: BKS), the world’s largest retail bookseller, today announced that military family wife and mother Jessica McGehee won the national My Cookie Story Contest held last December for her “Taste of Home Cookie Bar,” a cookie representing all the places her family has lived over the years. 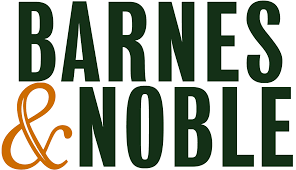 As the winner, McGehee will have a version of her cookie sold as part of the 2019 Barnes & Noble Café Holiday Menu, and was presented with a check for $5,000 on Saturday, February 9, at the Barnes & Noble Eastlake in Chula Vista, California. During a special event on Saturday, February 9, Strong awarded McGehee her prize, and samples of her award-winning cookie were made available by Sweet Street. Sweet Street will also bake a version of McGehee’s cookie to be sold at Barnes & Noble Cafés next holiday season. McGehee’s award-winning recipe includes a delicious combination of marshmallows, chocolate chips, and white chocolate, as well as garnish including caramel sauce and crisp bacon, all evoking memories of places her family has lived. McGehee’s story and recipe can be seen at BN.com/MyCookieStory. Jason Arthur, Barnes & Noble Café Buyer, and a contestant on ABC’s The Great American Baking Show: Holiday Edition. Rose Levy Beranbaum, American baker and cookbook author, including Rose’s Baking Basics: 100 Essential Recipes, with More Than 600 Step-by-Step Photos. Deb Perelman, Founder of Smitten Kitchen and cookbook author, including Smitten Kitchen Every Day: Triumphant and Unfussy New Favorites. Sandy Solmon, Founder of Sweet Street. Katie Workman, cookbook author of The Mom 100: Recipes, Stories, and Real-Cook Solutions. Customers can join the conversation about the My Cookie Story Contest on Twitter, Instagram, Pinterest, Snapchat (bnsnaps) and Facebook, using the hashtags, #MyCookieStory and #SweetStreetOMG.